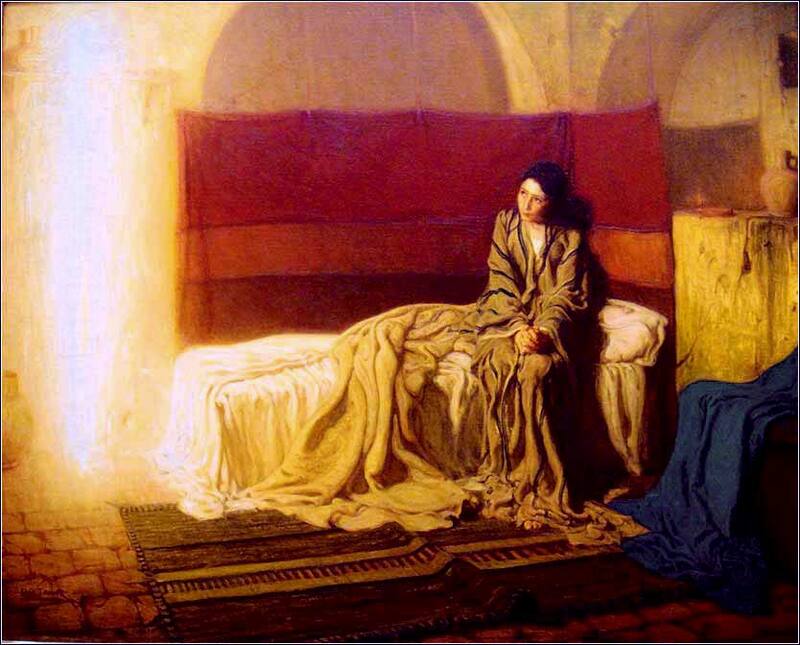 The Annunciation, Henry Ossawa Tanner ca. 1898. 309 people in our community are currently praying with you. Give me grace Almighty Father, so to pray, as to deserve to be heard, to address you with my heart, as with my lips. You are everywhere present, from you no secret can be hidden. May the knowledge of this, teach me to fix my thoughts on you, with reverence and devotion, that I may not pray in vain. May I now, and on each return of morning, consider how I will spend the day ahead; what thoughts will prevail in my mind? What words will I speak? Will my actions reflect your will, or my own? How far can I acquit myself of evil, and live in the goodness and beauty of my Lord Christ? Will I think irreverently of you? Will I disobey your commandments? Will I neglect and make excuses for any known duty, or willingly given pain to any human being? Incline me to ask my heart these questions oh! God, throughout the day, to save me from deceiving myself by pride or vanity. And give me always a thankful sense of the blessings in which I live, of the many comforts of my lot; that I may not deserve to lose them by discontent or indifference. Hear me almighty God, for his sake who has redeemed me, and taught me thus to pray. before the high and mighty I will sing your praise. Consider why you were called, my friends; that not many who are wise in the ways of the world are called, nor those with wealth and power. Rather, God chose the foolish of the world, that he might put the wise to shame; and God chose the weak things of the world, that he might shame the strong. Many times it is the lowly things of the world, and those that are despised, that God has chosen. He has chosen things that are not, that he might show the futility of the things that are. For no flesh may glory before God. It is so tempting for beautiful people, or very rich or powerful or famous, to think of themselves as objects of worship, rather than as worshippers. In fact, you do not have even have to be beautiful, rich or famous. Vanity and excessive pride are sins we have from birth; something in us constantly wants to shout, "Look at me! Look at me!" when we think we have done something that will bring us admiration. We are like children about to dive into a swimming pool, trying to get our parents' attention. But of course, someone is always watching. If we do something admirable, we don't need the attention or praise of others. Our good acts are a glory to God, which is a true and lasting glory, remembered for all eternity. We do not need to impress anyone. In the long run, our achievements will be forgotten, our personal moments of glory will be lost forever in a ball of fire, or a cold lifeless universe. But our glory in the Lord is eternal and perfect. Our inheritance will be a heaven of the spirit where our vanity will seem ridiculous, like the prattling of a child who has made a mud pie. The beauty and recognition and money we so desperately seek after are eternally meaningless. The earth is a peculiar place, like a stage show where something very real is happening off stage. Something great is going on, and we are a part of it. So, consider why you were called. 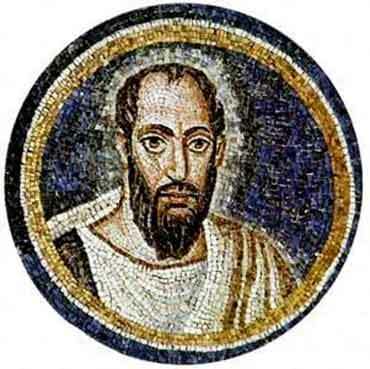 Paul tells us that the great, the rich, the powerful, are not often chosen. The much sought-after "blessings" of earth are curses wrapped in glittering paper. The Enemy tries to blind us to God's truth with pretty things. He is like a fisherman who trolls with a shining spinner or tasty bait, concealing the hook that will take us to hell. So never mourn your financial problems, or your imperfect face or figure, or your humility. They may be your salvation. We pray, "lead us not into temptation", for the pride and self-glorification that comes from greatness on earth will be put to shame, and we might lose our key to eternal life.